From a car dealer or broker point of view there is nothing better than seeing a fully stamped service book (ideally by the franchised dealer) when asked to appraise a car for disposal by a client. It immediately tells you that the owner has taken good care of the vehicle and been diligent about having the car serviced correctly. A full and proper service history can add hundreds of pounds (even thousands on a high value car) to the value of a car. I would always recommend that a car is serviced by the franchised dealer for at least the first 5 years of its life as again this will add value to the car, much more than the saving you may make by taking the car to an independent garage. Again, the more valuable the car the more important this is. I was asked to value a beautiful low mileage 5 year old Bentley recently but as the car had missed several services through being in storage and one of the services that had been done was by an independent, it made the car virtually unsaleable. Of course you do not invalidate the car’s warranty by using an independent (as long as OEM parts have been used) but prepare to get significantly less for your car when it comes to disposal time. My view is that once a car is over 5 years old it becomes less important to use the franchised dealer and more important that it has been done correctly but that fully stamped book by the franchised dealer is still very attractive! I would also never recommend the servicing chains to work on your car either, go to a specialist who at least understands your make of car, but not until the car is at least 5 years old! If you don’t have your car serviced properly you may also have an issue with the finance company if the car is being returned at the end of a lease or PCP agreement, or even under a Voluntary Termination (VT). It is likely you will find extra charges applied if services have been missed or not done by the franchised dealer. More and more cars now have the services recorded online by the franchised dealer and/or stored in the car’s computer. Again, this can normally only be done by the franchised dealer. 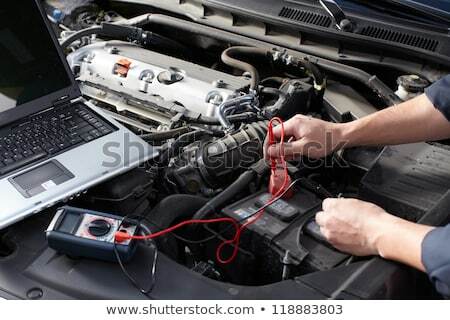 I would always recommend you ask the dealer for a print out of what has been done at the service and then keep it in the handbook pack in the car. If you would like to discuss any of the points raised in this blog please don’t hesitate to call Colin Smith on 01422 230689. Note that the views expressed are the personal opinions of the writer.